This post is the fifth in a series that will be for a graduate course called Theory and Audience Analysis. For the course, I will be posting weekly questions and follow-up analysis about the various readings we are assigned. 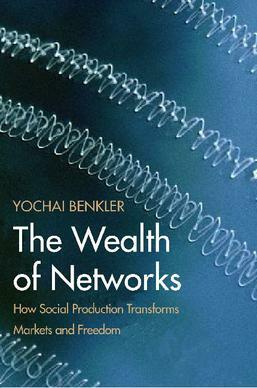 This post reflects on Part One of “Wealth of Networks” by Yochai Benkler. Benkler raises some intriguing points in his discussion of social production and social ties. The social accessibility of the Internet gives a lot of power to the users. As seen in the news this week with the confusing actions of Netflix, creating disgruntled users can mean bad news quickly for businesses these days. With the wide range and immediacy of the Internet, angry customers can take swift action in demanding change. Companies like Blockbuster, Redbox and Amazon are practically jumping for joy at the inexplicable actions of Netflix. Other recent examples include: fans of the NBC TV show “Chuck” used Twitter and the show’s Subway sponsorship to save the show from cancellation in 2009. When Final Cut Pro users were angered by Apple’s latest installation of FCPX this summer, Abobe capitalized on the opportunity by offering Premiere Pro and a 50% mark-down rate. All of these examples were made possible entirely because of networked information technology. Without these networks, the total sum of voices is limited to the people you have close geographical relationships with, as Benkler describes in Chapter 10. Voices of neighbors can be loud when dealing with problems on a small scale, say a dispute about whether to install a stop sign in a neighborhood. But when the scale gets bigger, like a zoning law that effects the entire city, the viewpoints of those same neighbors becomes smaller in the overall context. With the use of extended social networks, those voices can spread wider and faster. One of the keys to these social networks is the decline of hierarchical structure. The examples above show how the Internet can breakdown the hierarchy of everyday life. It is unreasonable for an angry fan to sit down with the CEO of a major network, but by combining together with other fans and using their collaborative efforts, they can open the lines of communication and virtually beat down that CEO’s door. To a lesser extent, the use of the Internet can bridge the various gaps created in daily lives. From a friend that moved to Germany to family on the opposite coast, my social networks are key to keeping those people as an active presence in my life.